Cerro Azul stratovolcano in Central Chile is located at the southern end of the Descabezado Grande-Cerro Azul group of volcanoes. Its steep summit cone contains a 500 m wide crater. Cerro Azul is the site of one of the largest explosive eruptions in the 20th centuries. It erupted from the Quizapu vent on April 10-11 1932, producing a Plinian eruption column of 27-30 km (ca. 95,000 ft) height. The eruption formed a 600-700 m wide 150-m-deep crater and blanketed the region with ash. Quizapu is one of Azul's major vents and located on the northern flank of Cerro Azul. It formed in 1846 during the first historical eruption at Cerro Azul, which was accompanied by voluminous dacitic lava flows that traveled both east into the Estero Barroso valley and west into the Río Blanquillo valley. Quizapu was also the site of the massive 1932 eruption. La Resoloma Craters are 3 basaltic-andesite cinder cones on the W flank. They erupted Los Hornitos are cinder cones on the lower SW flank. 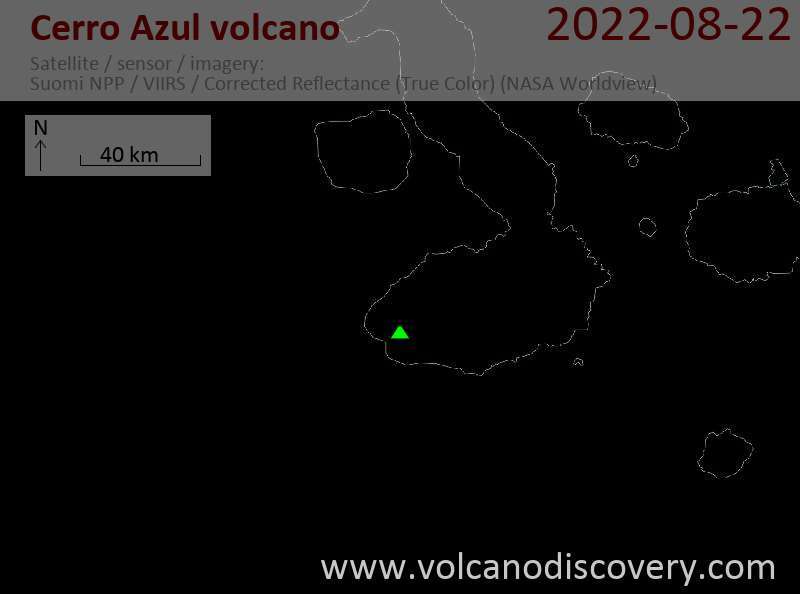 Note: there are 2 volcanoes with similar names: Volcan Azul in Nicaragua, and Cerro Azul in the Galapagos Islands.